Review : Making Memories with Instax Mini 8 | Instax Mini 8 Review | Instax Mini 8 Joy Box Giveaway | The Shopaholic Diaries - Indian Fashion, Shopping and Lifestyle Blog ! It's been a long time since we last had a Giveaway, right? So I thought of surprising you all with a Giveaway celebrating my 5th Blogiversary. 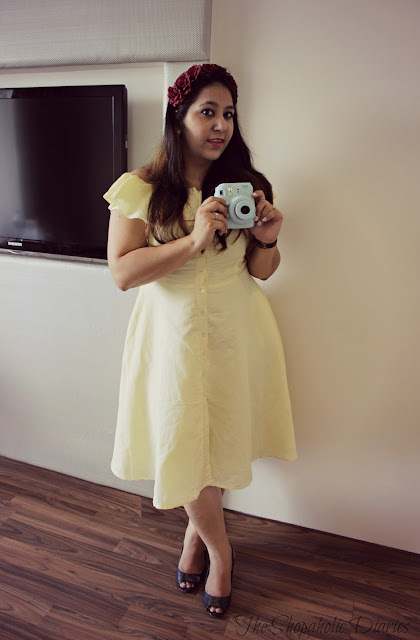 A few weeks back I had attended an instaxicated Bloggers Meet with Fujifilm India where I got introduced to their cute but very interesting Instax Mini 8 camera. A Polaroid camera was loved by one and all many years ago, long before smartphones became the talk of the town and selfies became a rage. While we all love clicking sharp, clear pictures on our smartphones and digital cameras, nothing still beats the beautiful feeling of having an instant print of your clicked picture in your hands. And that's where Instax Mini 8 comes in picture - helping create memories to cherish forever. 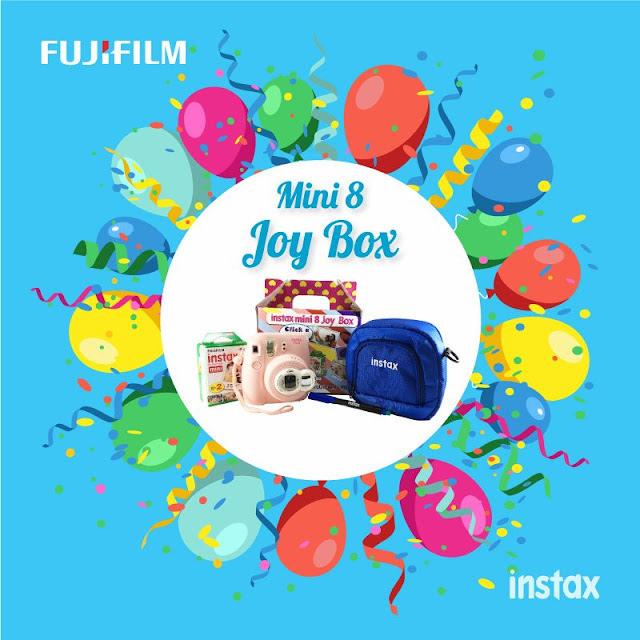 Instax Mini 8 is a cute and compact camera that brings instant fun and excitement to your everyday life. Available in 7 vibrant colors, not only this camera will instantly lift the mood but it takes some amazing pictures that are perfect to make and save new memories. Brightness Adjustment Dial - Don't worry about how to get the perfect click from Instax Mini 8 as it automatically determines the best brightness level and indicates the same on the lit lamp so you can adjust the dial to choose different exposure levels. High-key Photo - Want an image with a soft impression? Adjust the dial to the hi-key mark to take some lovely clicks. Constant Firing Flash - It helps you get clear pictures even when the light is relatively low. While it does take a little while for the film to develop and the film is slightly expensive, the results surely don't disappoint. Well, as I wanted to share the joy of celebrating my 5th Blogiversary with you all, I decided to tie-up with Fujifilm to gift one of the lucky winners - an Instax Mini 8 Joy Box! Great review of Instax Mini 8. This review left me drooling for it. Instax Mini 8 is cute as a button. I sure would love to have one. 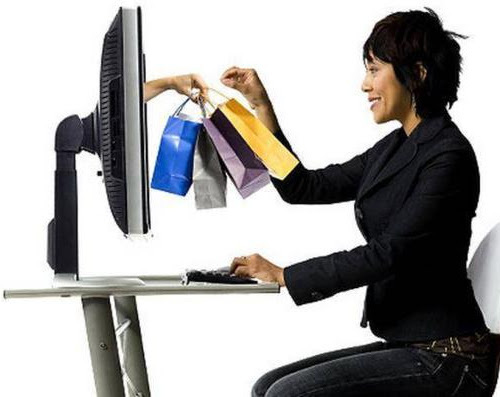 Its perfectly handy, instant and chic- all what a girl can need. Way to go girl and keep sharing ! Love! Congratulations Nitika on The Shopaholic Diaries 5th Anniversary. I have been following TSD since its initial days and absolutely love it! 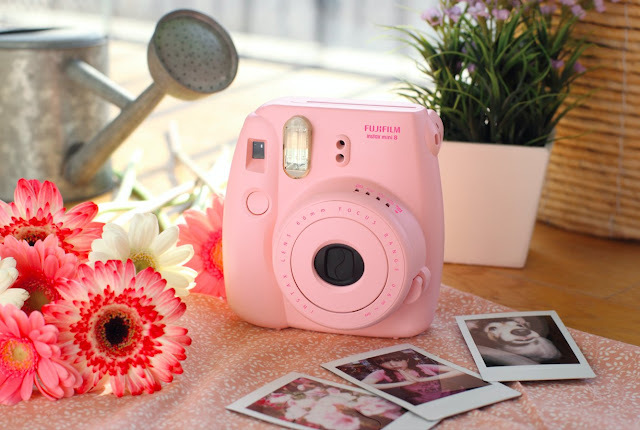 The cute little Fujifilm Polaroid camera has always been on my wish list. The fact that one can have an instant print of the picture has always excited me. I am a little old school and for me 1 printed copy of memory is always greater than 100 selfies in my phone. I would love to win this, especially when its my 25th Birthday next month! I always was fascinated by instant cameras, but never got one for myself as I already owned digi camera. So would love to win this one. Wow I love to win this... Camera is too cute to ignore. Hiiiiiii mam ! Thank you for existing because you inspire hundreds of us��. You are truly an inspiration.I totally love your account! 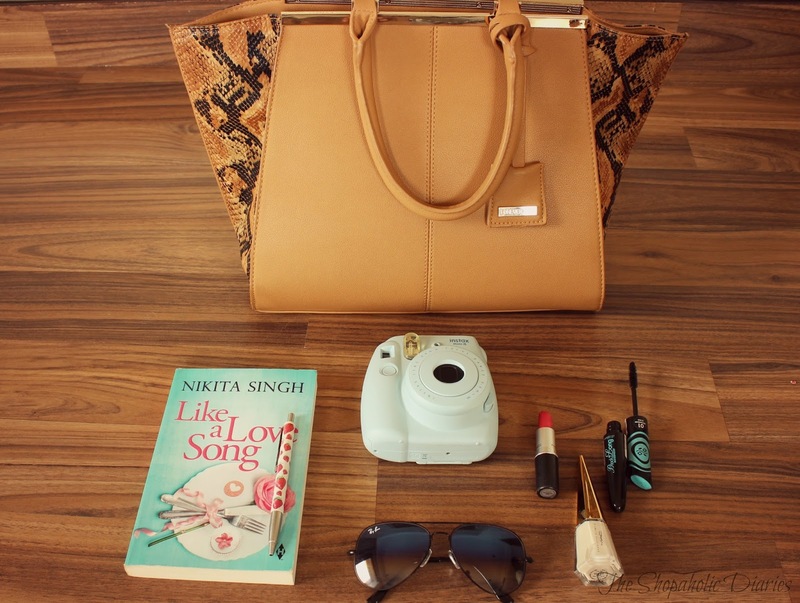 And The Shopaholic Diaries is amazingly superb! I can do anything ANYTHING to win this !!! And my parents will be glad to know that I didn't spent a peny to get what I wanted from soooo longg ! I love you mam because you will surely fulfil one girl's dream ! 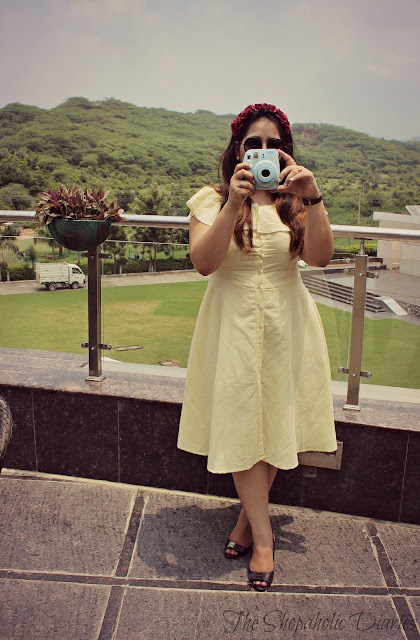 First of all a biggg congratulations on your 5th blogiversary ���� I am really happy for you . Secondly your giveaway is just so magical . everyone is truely drooly over it ! This amazing cute camera has always been in my wish list but I wasnt able to buy it for some reason . This review has helped me to know more about Intax Mini 8. 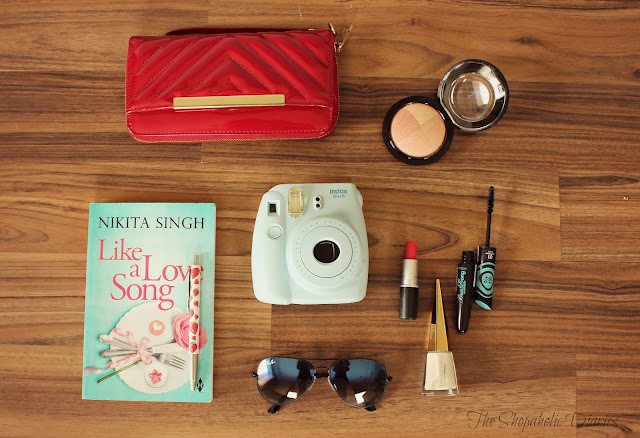 Now I want to click pictures more & more by winning this awesome #giveaway. This won't be easy but the Intax Mini 8 Joy Box totally worth it. hai, loved this giveaway. My marraige will be within a year.If this gift will be with me... oh my god, i will be very lucky baby. #wishtowinthis cute love. 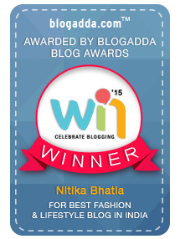 Congbeautifully on completing 5 successful years of blogging and many more to come! You're an inspiration Nikita. 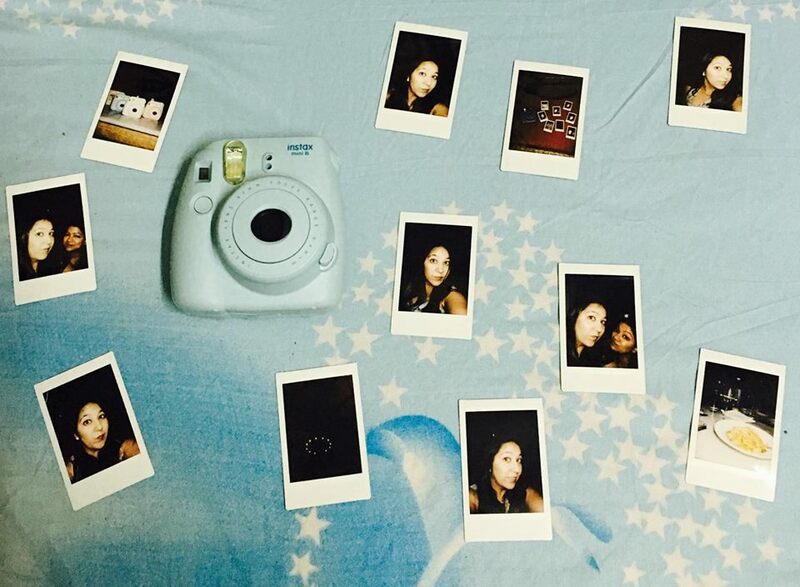 Owning this cute Instax Mini polaroid camera is like a dream come true! It has been in my bucketlist since last 3 years and will continue to be in my bucketlist hopefully. It's a perfect mini especially when taking pictures with strangers at a tourist place so that they forget us later! Second, I want to decorate my bedroom with polaroid pictures hanging on a thread and beautifully draped with electric lights! dis is awesome!!! congratulations and thank you for conducting this giveaway!!! Congratulations to you. 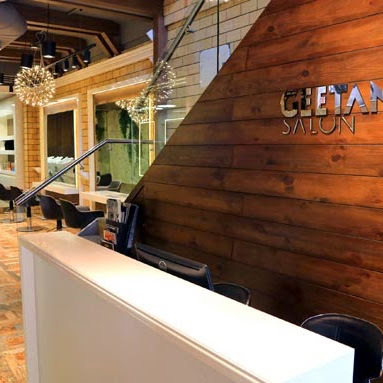 I would love to win this for my mom. She is turning 50 this month & I would love to gift her the polaroid as she can use it without any hussle & would enjoy a lot. First of all a big hug and congratulations on 5th blogiversary.. 🎊🎆🎇🎉 may God give you more and more such moments of success in your life!! Now about the giveaway, I always want to own such cute camera but sometimes we keep them in our wish list for no reason. This cute camera is always on my wish list from a long time. 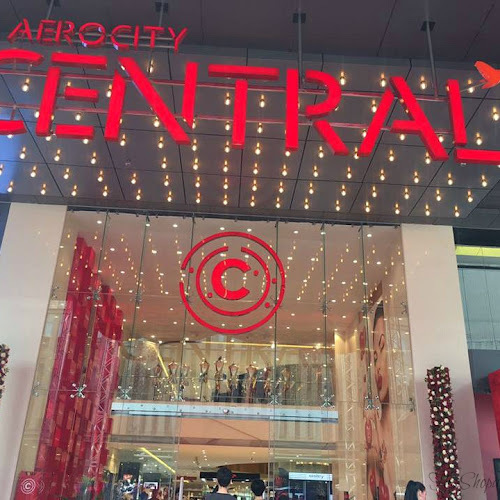 Now you are giving us a chance to get it. Whoever wins this Wii be a super lucky girl. It would be a perfect Christmas gift for my daughter. and yea tanxs a tonn ! for this wonderful giveaway which we can cherish for forever n ever .